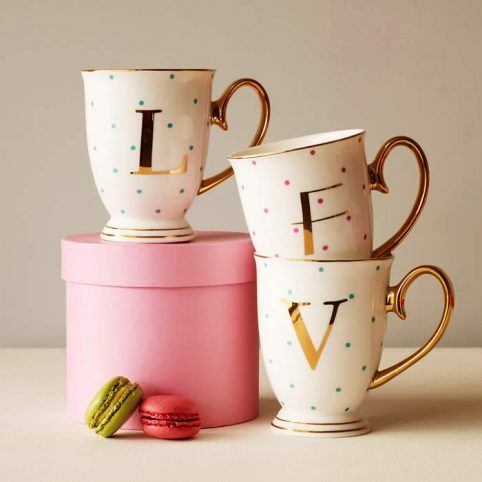 There might be a few mugs with initials in the market but the new alphabet mugs by Bombay Duck are really special! They have a wonderful design with polkadots and a retro twist making them the perfect little gift for your beloved ones. 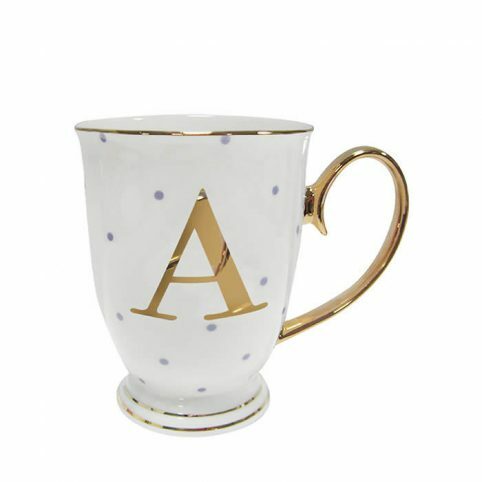 Each mug comes with a different gold initial and gold polkadots. Our favourite detail is the curved shape handle that gives a vintage touch to the mugs. 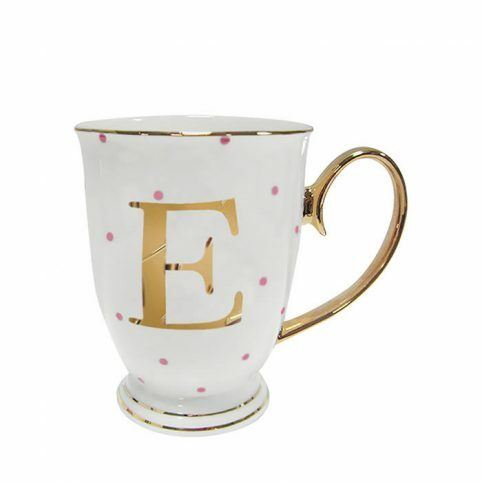 The Bombay Duck mugs with initials are made from jade china with a superior finish and come in a beautiful round gift box. We usually have in stock all the letters but if you would like to double check just click here. You can find the Bombay Duck Initials mugs in our shops at Spitalfields and South Woodford or you can buy them online with Free UK Delivery and 10% Off if it is your first order with us. 23 Pings/Trackbacks for "Mugs with Initials by Bombay Buck"
Hi there colleagues, how is all, and what you would like for to say about this publish, in my view its really incredible made for me. Do you have a spam difficulty on this site I also am a blogger, and I was seeking to know your scenario we have designed some great processes and we are hunting to swap strategies with other folks, be certain to shoot me an e-mail if fascinated.